Few months ago, a friend of mine from Cebu messaged me in Facebook and told me about her approaching visit in Manila during the holidays. She told me that she wanted to go to Manila Ocean Park, Mall of Asia, Star City and the city of Manila. Because it was a holiday, I told her that I could only accompany her in one place. She agreed and let me decide for her itinerary. I told her that I could only join her on Sunday after an occasion that we will be attending, hence leaving us with only half day to spend. I told her that the best place to visit that suit our time would be the city of Manila. Although it was already my nth time to go to Manila, the idea of sightseeing the city again made me feel excited. I was excited to revisit the same old tourist spots of the city. I was thrilled to revive the memories that I’ve had when I visited those places years ago. I was keen to learn about the city once again. But more than those things, it was the chance to see what does the capital city looks like now – and the changes that it has. 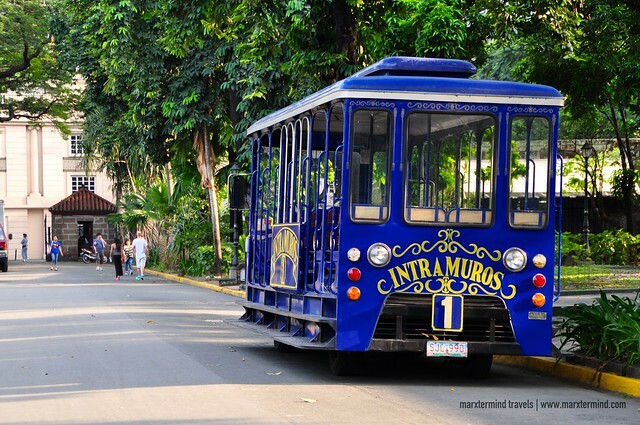 Most of the tourist spots in Manila are just nearby that one who is on a budget doesn’t need a private vehicle to get around. That was what we did in our case. We begun our jaunt in Lawton – and from there we started to walk and sight-see the city. 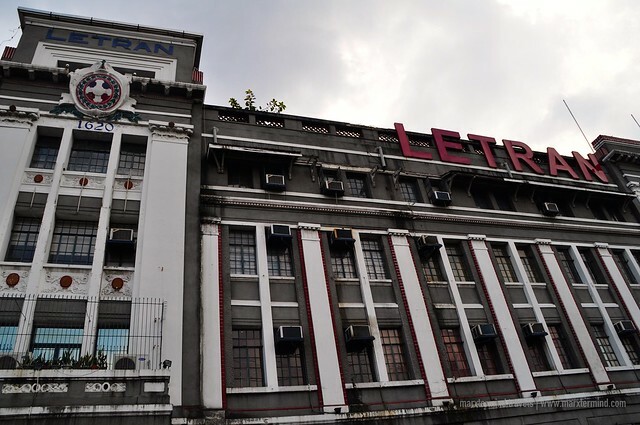 We started our tour by dropping by the Manila Post Office building. 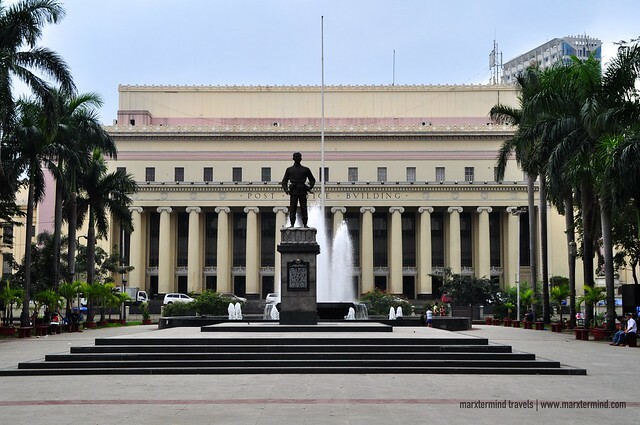 The Manila Post Office is the central post office of the city. It is the head office of the Philippine Postal Corporation, and houses the country’s main mail sorting-distribution operations. We didn’t enter the building anymore. We moved on and proceeded to our next destination. 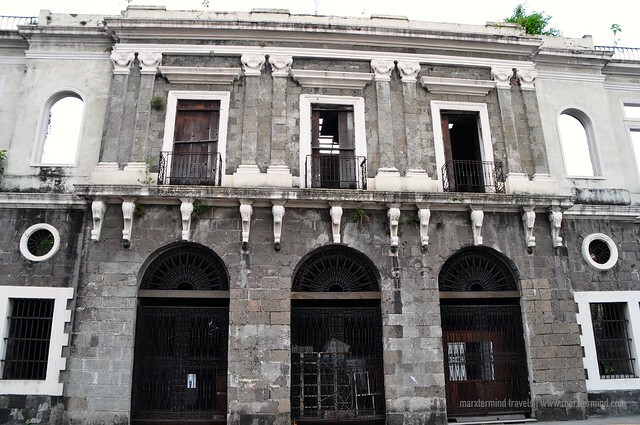 Situated at the left side of the Manila Post Office building is where the Intramuros is. 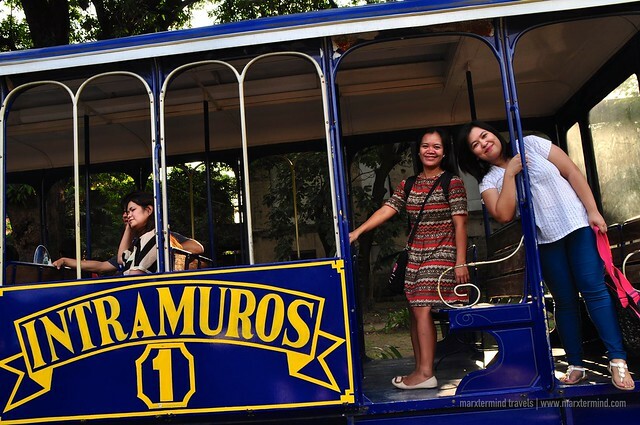 Intramuros is one of the famous tourist attractions in the city. It is the oldest district and the historic core of Manila. 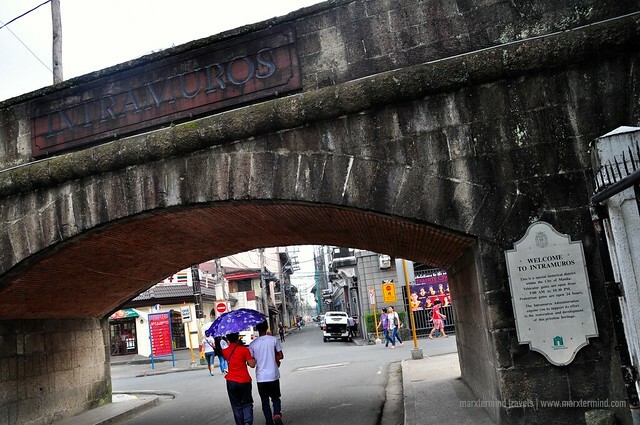 In Latin, Intramuros actually means within the walls, hence why it is also called The Walled City. The district is almost completely surrounded by a nearly three-mile-long circuit of massive stonewalls and fortifications. The area can be toured around by horse cart or on foot. There are several attractions to see inside the district like walls, gates, fortifications, plazas, monuments, public buildings, schools, churches, museums, ruins and other buildings. 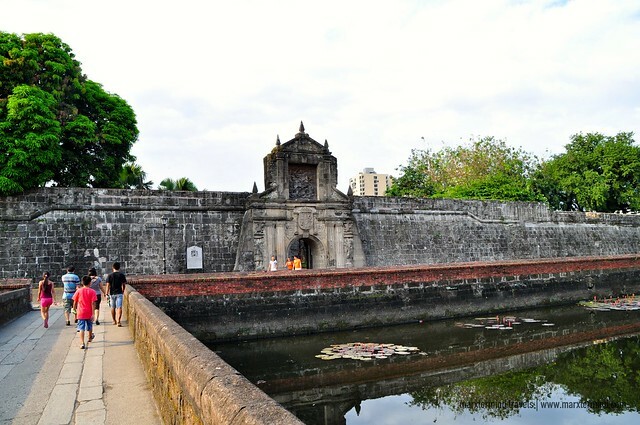 A historical place inside The Walled City that I can say the most visited and most popular is the Fort Santiago. Actually, before, I thought Fort Santiago is already the Intramuros but then I learned that it was just part of this old walled city. 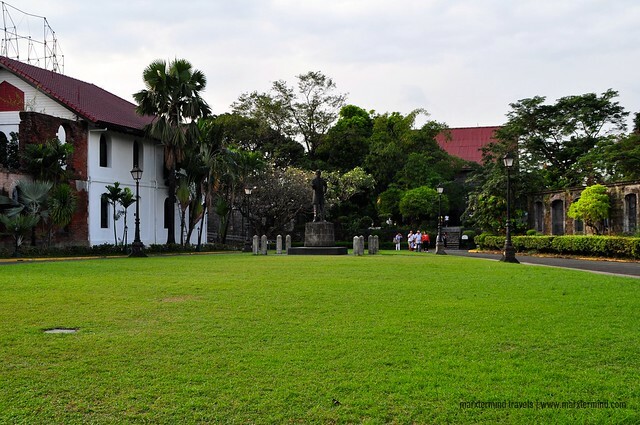 Fort Santiago is the former military headquarters of the Spanish colonial government. 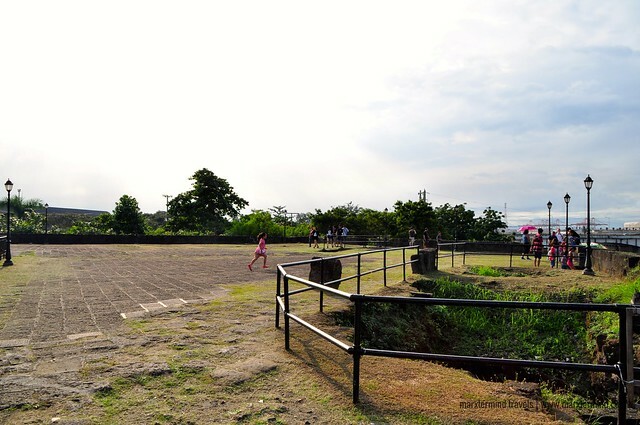 It is now considered as a major landmark of the country, partly because Jose Rizal, our national hero, was imprisoned here prior to his execution. 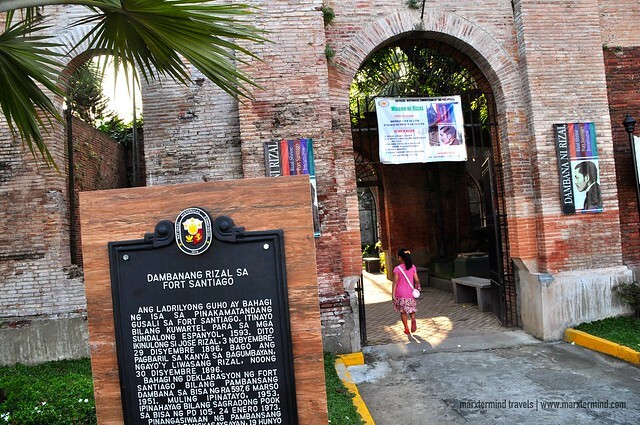 Inside this historical place is where one can also find the Rizal Shrine. 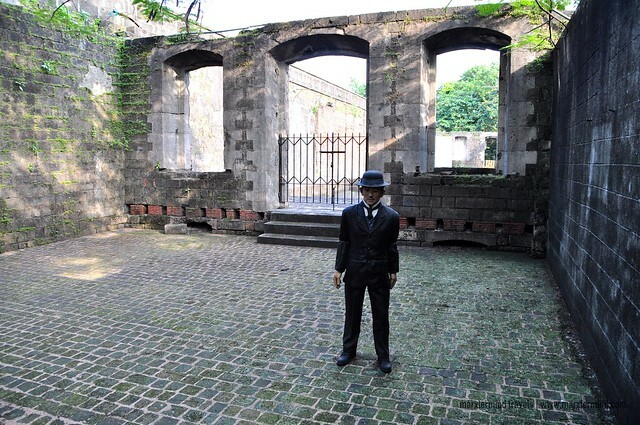 It is a small museum dedicated to Jose Rizal’s life and work. The museum is housed in a restored section of one of the fort’s former barracks. We spent most of our time here. 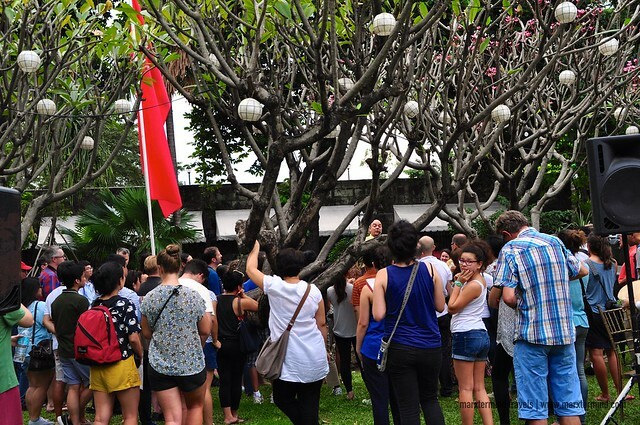 During our visit, we chanced upon Carlos Celdran doing his tour. Some of the areas are now closed for rehabilitation. Some has become restricted areas for unknown reason, maybe for safety. Before we left, we rode a horse cart as my officemate’s daughter kept on bugging us to ride one. She had never ridden one, so we had her wish granted. 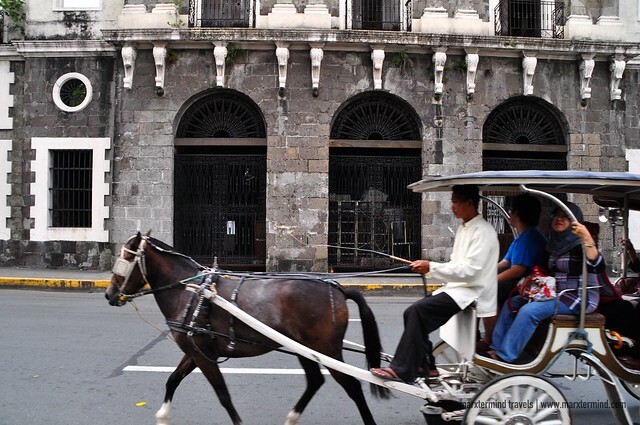 It was just so nice to see her to experience something for the first time – and that’s riding a horse cart. We can see how excited she was. Well, it wasn’t only the daughter that had its request but the mother as well. Before we left the area, my office-mate had a picture taken with the guards. 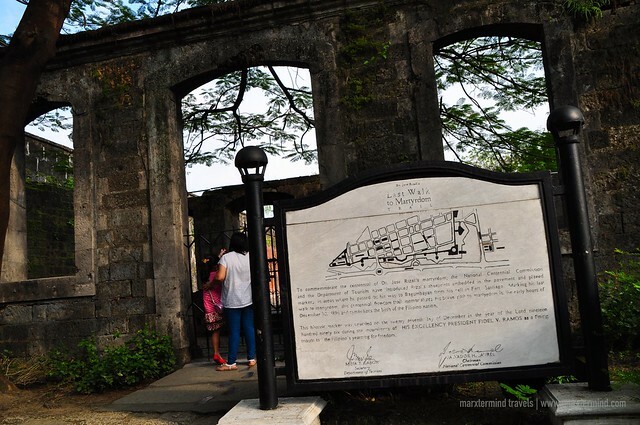 Fort Santiago is open daily from 8:00 AM to 6:00 PM. Admission fee costs PHP 75 for adults and PHP 50 for students or children. 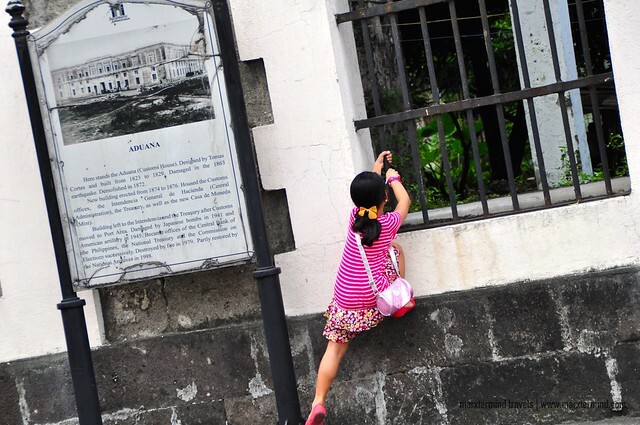 After visiting Fort Santiago, we went to the main road and crossed the street going to Manila Cathedral. There was a wedding that moment, so we came in by entering from the side door of the church. 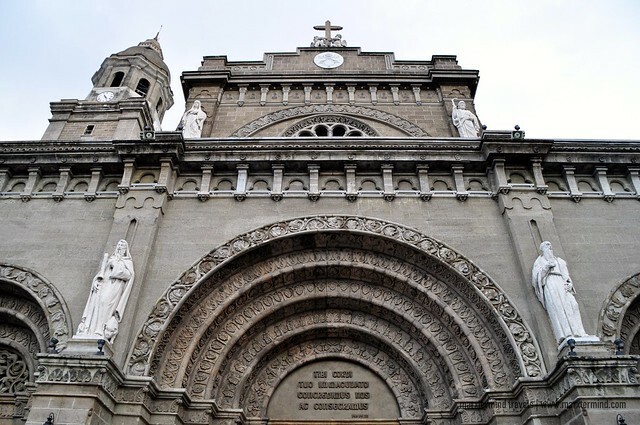 The Manila Metropolitan Cathedral-Basilica also known as Manila Cathedral, is a Roman Catholic basilica dedicated to the Blessed Virgin Mary as Our Lady of the Immaculate Conception, the Principal Patroness of the Philippines. 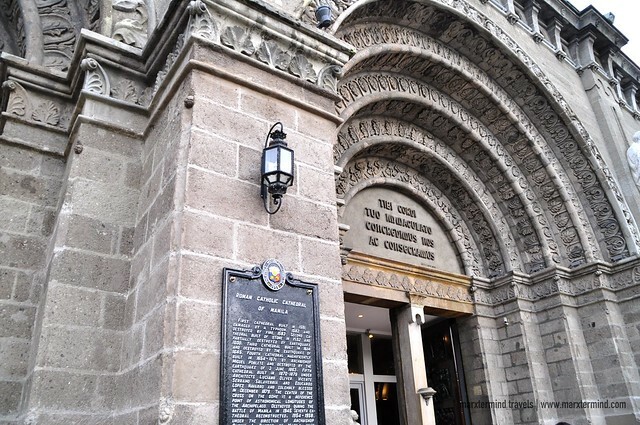 The cathedral is the seat of the Roman Catholic Archdiocese of Manila and one of the most important churches in the country. It was destroyed and rebuilt several times already but its interior, design and detail still look magnificent and classy as it was. 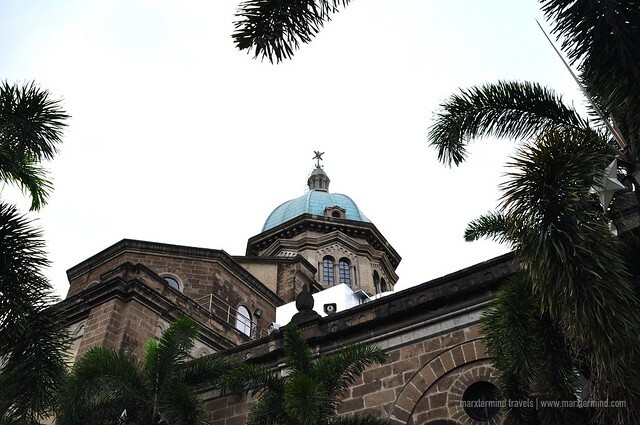 Aside from Manila Cathedral, another historical church that can also be found inside Intramuros is the San Augustin Church. The church is located at General Luna (Calle Real del Palacio) corner Real Street. It was just a 5 minutes walk away from the famous Manila Cathedral. The church is a Roman Catholic church under the auspices of The Order of St. Augustine. 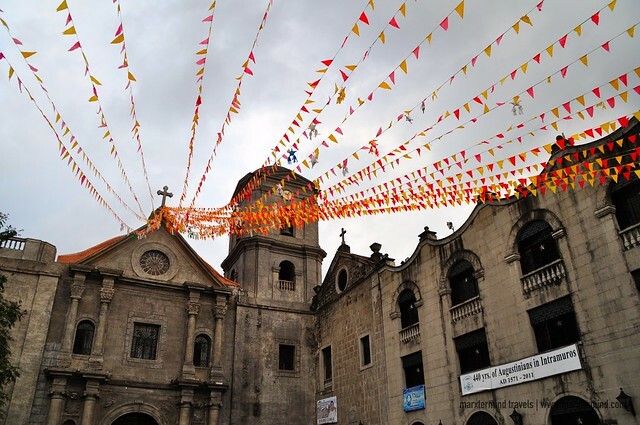 It was one of the four Philippine churches built during the Spanish colonial period that was termed as a World Heritage Site by UNESCO, under the collective title Baroque Churches of the Philippines. The church was named as a National Historical Landmark by the government in 1976. The church also has a magnificent architecture and design. The church is said to be a true Spanish Baroque treasure with glorious ceilings and a grand high altar. There are still a lot of places to see around Intramuros but since it was already getting late, we went out of the walled city and went to another famous landmark of the country, Rizal Park. 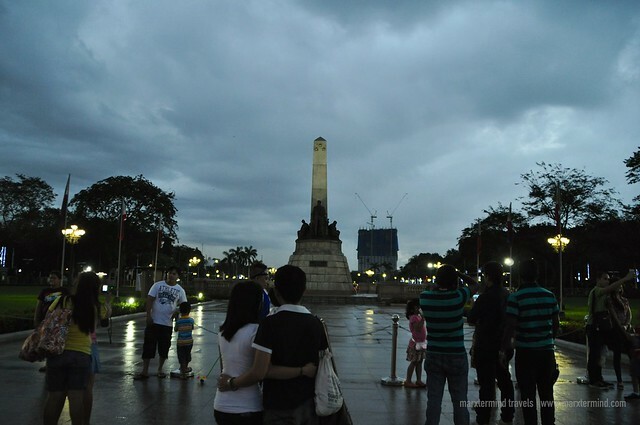 The park that is also known as Luneta Park or Luneta in short, is a historical urban park located along Roxas Boulevard. 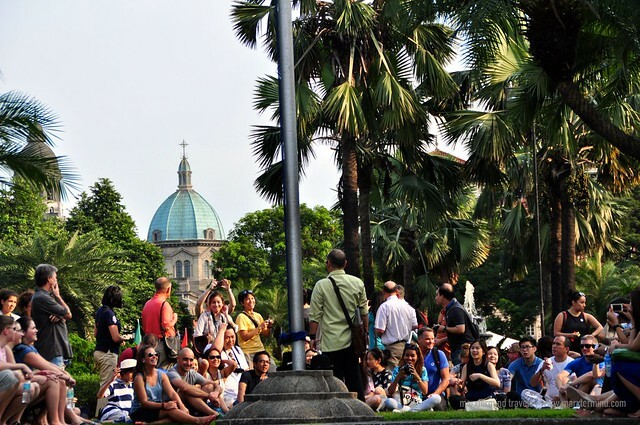 The park is adjacent to the walled city of Intramuros. It can be walked from there for about 5 to 10 minutes. 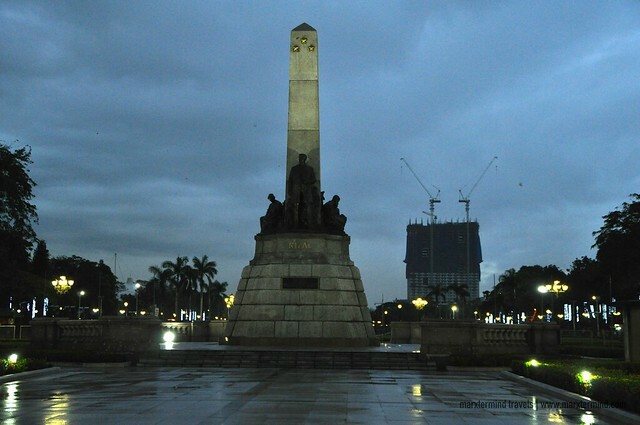 Rizal Park is one of the major tourist attractions in the city. It is a favorite leisure park and frequented on weekends and national holidays. The park is an important site. This is where our national hero was executed. It was officially renamed to Rizal Park in his honor and the monument enshrining his remains serves as the park’s symbolic important point. It was just so sad that today; a building that is being erected is now ruining the view of where the monument of Jose Rizal is. The building, which is named as Torre de Manila, had totally destroyed the skyline view. I hope this building gets demolished sooner as it is really an eye sore. I just hope that the heritage of the park can be persevered and constructions of building or whatsoever around the park should not be permitted anymore. There are still several places to see in Manila but since it was already getting dark, we ended our jaunt in Rizal Park and went home afterwards. It was a nice short tour around the city. I was glad to revisit the famous landmarks of Manila. I was happy to learn about the history of these popular destinations once more and to realize how significant are those to our country. 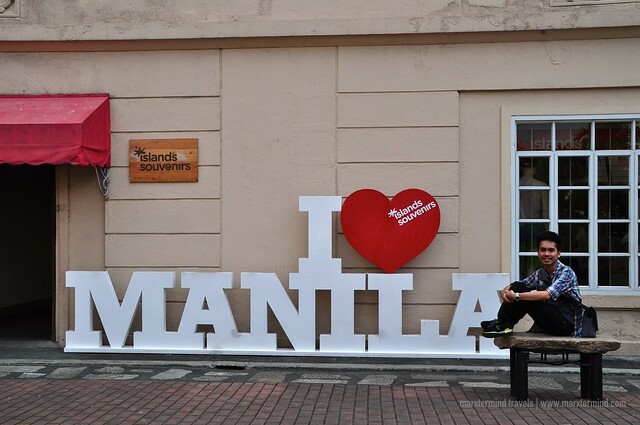 Well, what can I still say – I love Manila (and hate it sometimes – well, that’s a different story)! Lol! It's good that from time to time you get to visit different spots in your hometown. It helps you look back on your rich history and culture.